Jason Gittinger is an avid community builder and entrepreneur. 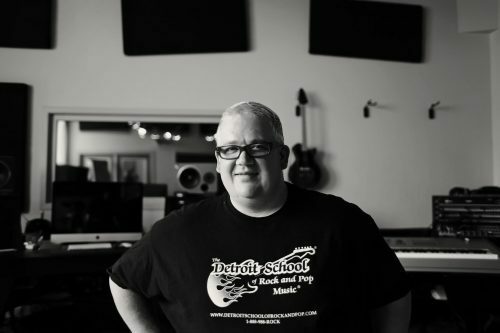 Through his music school, The Detroit School of Rock and Pop Music® he goes out of his way to educate and nurture young and aspiring musicians about being a professional in music and in life. Their foundation, The Live The Music Foundation, provides scholarships and support to many students in need, community activities and events. He supports causes that teach people that being a success in life is not a singular pursuit but a team endeavor. He is the President of the board of the Royal Oak, Michigan Chamber of Commerce and is the chair of The Royal Oak Commission for the Arts for the City of Royal Oak, Michigan. As an arts leader in the region, he serves on the community relations board of The Detroit Institute of Arts and has even curated music exhibits for The Detroit Historical Museum. He started his career spending many years playing music for recordings, events and activities all over the world. He now spends a lot of of his time helping other entrepreneurs and startups make their passions their full-time careers through his consulting work with his boutique consulting firm The Gittinger Group.He resides in Royal Oak, Michigan with his wife and two daughters. You can also watch Jason jam on the drums in a series of YouTube videos – click here! I honestly have no idea. I wake up and try to do great things with the resources given to me. I find if I try to create things that connect and unify people, they take life. If I try to create for only myself, I fail miserably. …so I try to do as many things for other people as possible so I can make those wonderful positive creative connections that take flight. My biggest creative achievement so far would be The Detroit School of Rock and Pop Music. It is a wonderful place that unites people from all backgrounds and walks of life through music. It is a pleasure and a joy to get to see what happens here each day. You are not alone. Everyone wants to create, and everyone creates. If you want your creativity to life longer than yourself, you must be nice to others, as they will be the ones that make your creativity lasting. This entry was posted in Business of Music, Creative Industries, Gigs, music. Bookmark the permalink.